With the new logic we have put in place behind the event registrations, your members and non-members are able to sign up with ease! As members (and non-members!) register for your carefully planned out events, you don't want the registration process to be the thing that slows them down. Ideally, the less friction the better when it comes to event registration. At the same time, you also want your database of members (and non-members!) to be clean, meaning you don't want unnecessary duplicates or for there to be a lot of clean up that needs to be done. Great news! We've made some big improvements to help. The updates we've implemented give staff members more flexibility when it comes to member validation, data cleanup, and more. This is the least restrictive option. By leaving it open, with an "on your honor" type approach, members will be able to get member pricing without having to log in and/or remember a password. That would mean that anyone would be able to use the member pricing during registration. In the event (no pun intended) that a non-member then signs up with member-only pricing, a staff member could watch for such instances and even use the opportunity to reach out to that individual with membership benefit information. Using this setting can be a happy medium for some associations. 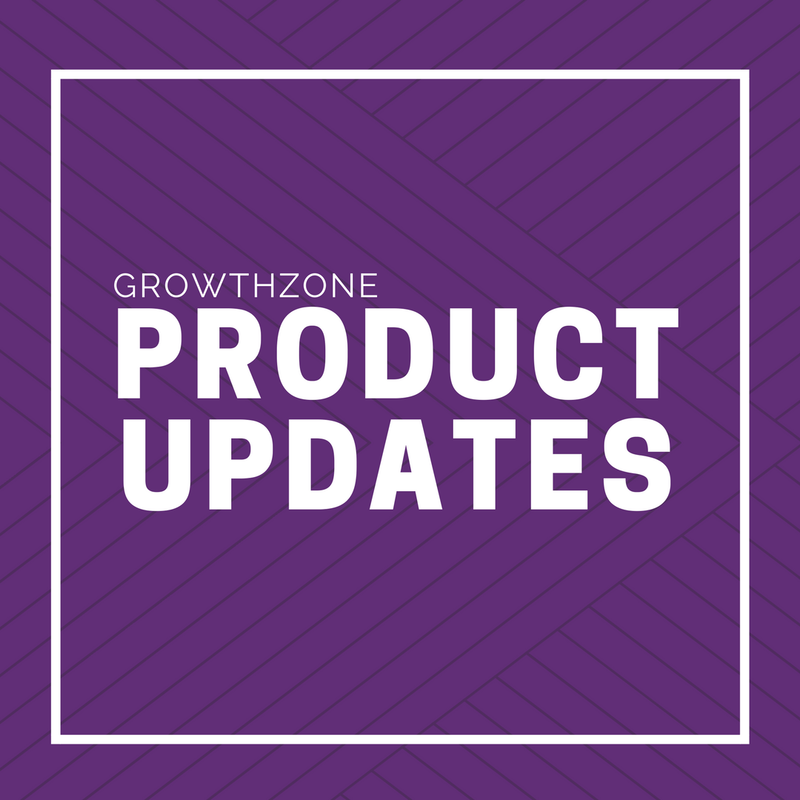 You may not want to open up member pricing opportunities to anyone/everyone, so with this setting, you can validate based on email addresses. 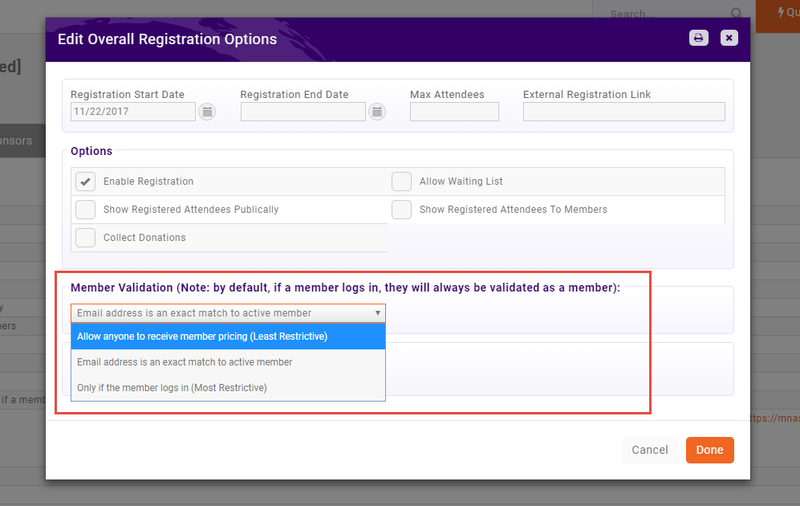 The first step in the event registration process has the user put in their name and email address. If the email address used is an exact match to an active member of yours, it will recognize that and then automatically show member pricing. This is the most restrictive setting. There are cases where you want to lock down member pricing to ONLY members, and this setting allows you to do just that. If members come into an event through the INFO HUB or through a member email invitation, they will already be logged in! If a member comes to the registration page not already authenticated, they will only be able to see member pricing, by clicking "Know your member login? Login Now" and logging in. Note: We've removed the checkbox that enabled you to "Automatically Create a Contact Record for Attendees Not Yet in Database". This functionality, while nice, wasn't as useful as we had originally planned for. We found that to truly be useful, the data creation decisions need to be made by the staff members. Along with that, we know that staff members are extremely busy, which is why in the next week we will be releasing an addition to events that allows staff to easily manage the attendee clean up process quickly and intuitively. See below for more details. Find additional help with these specific changes in our support Wiki. The last thing any staff member wants are duplicate records dirtying up their database. Within the next couple of days, staff members will have the ability to decide what information the database needs to keep and what it can disregard. A feature is currently in development that will point out to you and your staff member which registrants may need a little attention after the registration process, such as possible matches to existing records in your database, cleanup of misspellings, and/or name changes This new indicator will be found next to the contacts needing attention in your event's Attendees Tab. Clicking the indicator will prompt a dialog box to open, giving you the information you need to make any necessary updates.